(TibetanReview.net, May26, 2017) – China’s actual population is 90 million less than what the government says it is. The government has, in fact, been overstating its population numbers for decades, reported timesofindia.com May 25, citing a US academic covered in the China Banking News. The report also cited researchers as saying China was desperately in need of more, not fewer births, to combat a shrinking and ageing work force. 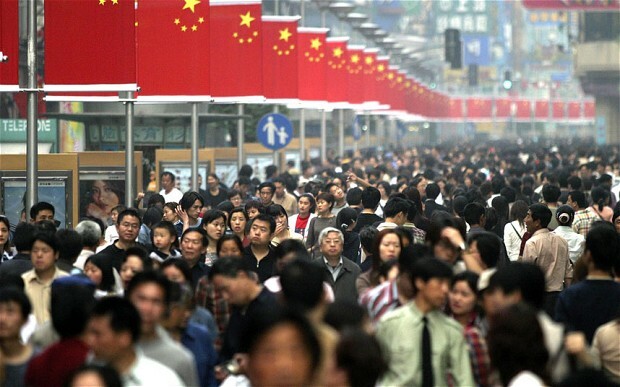 Data compiled by Yi Fuxian, a University of Wisconsin-Madison researcher, was reported to reveal that the numbers put out by Beijing showed China’s population to be 90 million more than what it actually was. What is more, “the concealing of a Chinese demographic slump by over-optimistic government projections is ongoing,” Yi was quoted as having told a conference in China this week. Yi has said China had been consistently overstating its number of births for as long as 26 years, from 1990 to 2016. His research was reported to suggest that there were 377.6 million new Chinese births from 1991 to 2016, less than the officially stated figure of 464.8 million. This would mean that China’s population at the end of 2016 was 1.29 billion, not 1.38 billion. This, in turn, would mean that India, with a population of 1.33 billion, is ahead of China not only now but has been so for years. India’s population touched 1.33 billion last year, compared with China’s official figure of 1.37 billion in 2015, the report said. Citing the South China Morning Post, the report said other researchers at the same conference in China’s Peking University agreed with Yi’s numbers. They were said to have argued that China was desperately in need of more rather than fewer births. They have also called for the removal of population controls in China and for improved data quality. Another researcher at the Shanghai Academy of Social Sciences was reported to have said China’s data had been “seriously false” for decades. “The population data since the adaption of one-child policy has been seriously false and the family planning report has been overstated by 30 per cent,” the Shanghai researcher, Liang Zhongtang, was quoted as saying. “The birth control policy which has last(ed) nearly four decades is not in accordance with reality. It is imperative that the government should abandon the family planning system,” he was reported to have added.